Olive You: Here's Why Olive Oil Is Your Beauty Hero! If you've watched any cooking shows on TV (guilty as charged! ), you know that olive oil is at the heart of most healthy recipes. It particularly became a big trend when popular chefs were seen using it. We know olive oil has been used for centuries in the Mediterranean region due to its benefits in cooking and topical application. But, if you're anything like me, you only watch all the shows and cook nothing! And, believe it or not, olive oil has more beauty applications than edible ones. So, if you're wondering what type of olive oil to buy and how to use it for your body, hair and skin... keep reading! A little wiki-style info for you on olive oil: scientifically known as Olea Europaea, in India, in Hindi, olive oil is commonly referred to as Jaitun Ka Tel. Derived from the olive fruit, this oil has a whole host of benefits for your body, skin, and your hair. One of the purest and most expensive olive oils in the market, this one can be used for cooking as well as topical application. It is extracted by a cold process method, which is what makes it pure and expensive. Since this oil has been extracted using the cold press method, it has a low burning point, so it's best used for light cooking on a low flame. This is the most popular version of olive oil in the market because it is more suitable for everyday cooking, and it’s more affordable too. It is not extracted by the cold press method so you are not going to be able to reap the benefits of that, however, since this has a high burning point - this type of olive oil is more beneficial for day-to-day cooking. Refined olive oil is the product that is obtained after virgin oils are sent to the processing plant where they undergo chemical processing. This process includes excessive heat and filtration. These refined oils have an acidity level of 0.3 percent or less, which also tends to give them a longer shelf-life. It may be called 'pure', but they are mostly a blend of refined olive oil and virgin production oil. There is another variant of olive oil available in the market called the olive pomace oil. Once the typical, mechanized extraction of olive oil from the olive fruit is done with, about 5 to 8 percent of the oil still remains in the leftover olive pulp or the ‘pomace.’ This oil is called the pomace oil and is used for cooking. Olive oil has been used as a multi-purpose culinary oil across counties. It has a low-heating point and is even said to be the secret to the longer life expectancies of the Mediterranean population. However, olive oil is not recommended for deep frying, roasting or stir-frying in a wok. But there are numerous ways in which you can use olive oil in cooking. We have listed them for you. Are you a salad lover? Then add some flavour by sprinkling olive oil over salad or mix it into salad dressing. It adds an excellent flavour to your salads. It is a great ingredient that can be used in marinades or sauces for meat, fish, poultry, and vegetables as the oil penetrates nicely into the first few layers of the food that’s being marinated. Be it the regular Arrabiata or Aglio Olio, olive oil adds flavour to any pasta. Just drizzle it over cooked pasta or vegetables, and relish your meal. Olive oil is a better ingredient to use while preparing a healthy dip for bread. Use it instead of butter or margarine. Pour a little olive oil into a small side dish and add a few splashes of balsamic vinegar, which will pool in the middle, and end up being a burst of flavours in your mouth. Replace butter with olive oil in mashed potatoes or on baked potatoes. Use olive oil in your sauces and spreads. Apart from being an essential ingredient while cooking, olive oil can be used to remove car grease or paint from your hands, and can also be used as your in-house furniture polish. Olive oil has multiple benefits for your body, skin and your hair. Let's look at some of the benefits below. Often referred to as 'liquid gold' in ancient times, the inclusion of this oil in your diet has innumerable health benefits that go way beyond enhancing your skin and hair! Studies have shown that people who consume olive oil on a daily basis are less prone to breast cancer. The oleuropein, a natural compound found in the olive leaf is said to have properties that prevent breast cancer. Adding olive oil to your diet can help control your blood sugar levels. Olive oil is rich in mono and polyunsaturated fats that help prevent, and control, diabetes in the long run. According to American research studies, extra virgin olive oil improved learning and memory in mice. This supported the theory of helping humans deal with, and prevent Alzheimer's disease. 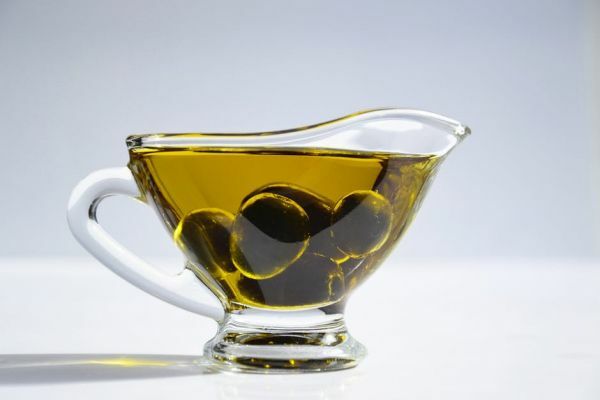 The osteocalcin found in olive oil is essential for healthy bone formation. 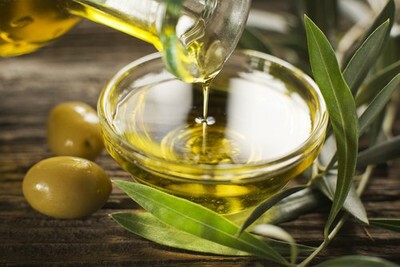 Studies have shown that people who consumed olive oil on a daily basis had higher levels of osteocalcin in their blood. So it may, therefore, help prevent osteoporosis from developing. Olive oil is a superfood that's rich in all the good healthy fat your body needs. It helps your skin, hair, and your body. 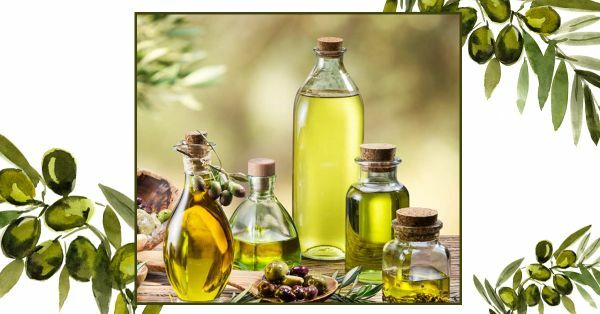 Research shows that a Mediterranean-rich diet consisting of 2 to 3 tablespoons of olive oil on a daily basis results in weight loss and overall well being. Olive oil increases the levels of serotonin, the chemical in the brain that affects your mood. The increased secretion of serotonin caused by olive oil is similar to that given by antidepressants, thus making it one of the healthiest choices in treating your overall well-being. While olive oil may not be the only thing that helps, it's definitely worth a shot given its long-term benefits. Olive oil contains (the maximum amount) 75 to 80% of monounsaturated fat which helps build good cholesterol and HDL in the body. Olive oil contains minimum levels of saturated and polyunsaturated fats, this, in turn, helps control your cholesterol levels. Research shows that those maintaining a Mediterranean-rich diet had significantly lower rates of heart disease. Olive oil is rich in monounsaturated fats and vitamins E and K, iron, omega-3, and 6 fatty acids and antioxidants. The texture of the olive oil helps speed up your bowel movements and ease the food through the colon. If you suffer from extreme constipation, one tablespoon of extra virgin olive oil twice a day, on an empty stomach, will help ease constipation. Make sure you've not eaten anything for at least 4 hours when you take it. Monounsaturated fats found in olive oil also contain high amounts of an essential fatty acid (EFA) called omega-3. Omega-3 keeps your heart healthy by helping to lower blood pressure. It is called an EFA because the body cannot make it by itself and therefore we must get it from food sources. What if I told you that your bottle of extra virgin olive oil will heed more promising results than that luxury skincare product you just spent a significant chunk of your salary buying? Olive oil is a golden elixir rich in antioxidants, fatty acids, and skin soothing vitamins. There's a reason Cleopatra used it! Olive oil is rich in vitamins, including A, D, and K, as well as vitamin E and antioxidants. Studies show that it might help prevent or reverse damage from cancer-causing ultraviolet radiation. It has a high concentration of squalene as compared to other types of fats and oils. The squalene is what gives olive oil the extra antioxidant boost. It moisturises your skin and fights acne-causing bacteria. The high levels of vitamins present in this magical elixir also boost its anti aging and skin healing properties making it absolutely a boon for people suffering from acne, blemishes, dry skin, wrinkles, and uneven skin. Olive oil works wonderfully as a replacement for your body moisturiser. Just take a tablespoon full of olive oil and massage it onto wet skin. It will keep your skin soft, hydrated, and glowy for very long. It has a wonderful texture making it non-sticky. You can even take a few drops and massage some onto your face at night. It also helps ease out the appearance of those unsightly stretch marks. So apply some on any parts of your skin that have stretch marks. Take some yoghurt, honey, and olive oil in a bowl and make a thick paste. Apply this to your skin once a week as a face pack for healthy, glowing skin. Any beauty maven will give you this advice, use extra virgin olive oil as a makeup remover. Take a teaspoon on your palms or on a cotton pad and use it to remove make-up. It breaks down even the most stubborn waterproof makeup. If you are using your palms, massage the olive oil on your face for a few minutes and rinse off using a mild cleanser and some warm water. It will deep-cleanse your skin of all the impurities, and leave your skin feeling supple. A few tablespoons of olive oil mixed with some brown sugar and coffee powder makes a wonderfully refreshing body scrub. You can even use this to exfoliate your face and lips. Generously slather on olive oil on your feet and give them a good massage. Wear some socks and go to bed. Your feet will be nourished and supple the next morning. Do this a couple of times and see the dry, cracked heels fade away. 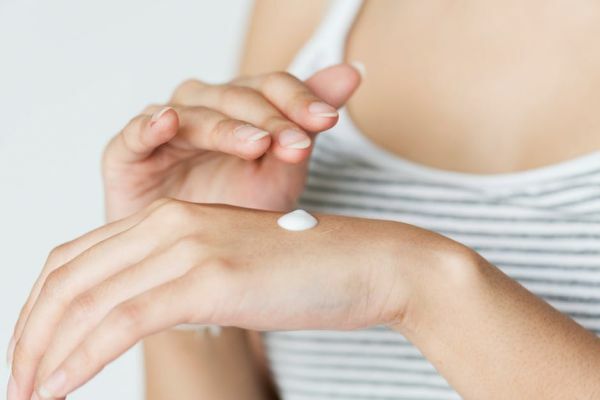 If you shave your hands and legs often, try using olive oil as a shaving cream instead! The razor will glide on smoother and your skin will be soft and hydrated after! If your cuticles are in need of some TLC, take a few drops of olive oil and massage them into your cuticles. It will nourish and repair the cuticle and boost nail growth! Olive oil is as an intense moisturiser, this makes it perfect as an all-over treatment for extra-dry skin. Application of olive oil to the skin is known to help people with severe eczema. This golden elixir is just as good for babies as it is for us. Use it on your little one's bottom to help ease out the diaper rash. Olive oil helps to soften the hardened wax chunks. Once sufficiently softened, the wax gets broken down into smaller and softer pieces, and often moves to the outer edge of your ear canal, making it easier to clean. Olive oil deeply nourishes your hair and gets rid of any dryness, flakiness, and rough ends. It promotes hair growth and helps your scalp remain healthy. 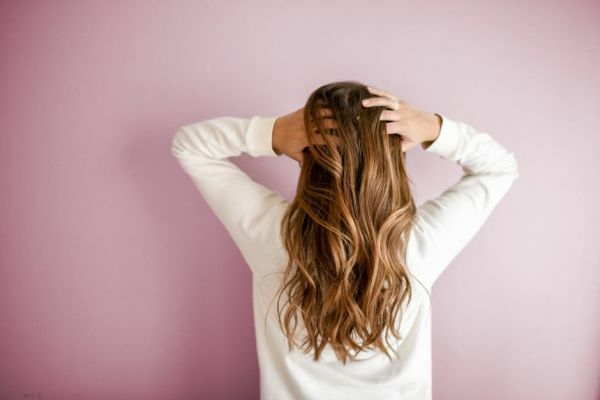 If all you've ever envied was long, lustrous hair, give yourself an olive oil massage once a week and watch your hair grow longer, stronger, and shinier! Olive oil is fantastic for your hair. Let’s take a look at all the reasons why it should be your hair’s new best friend. 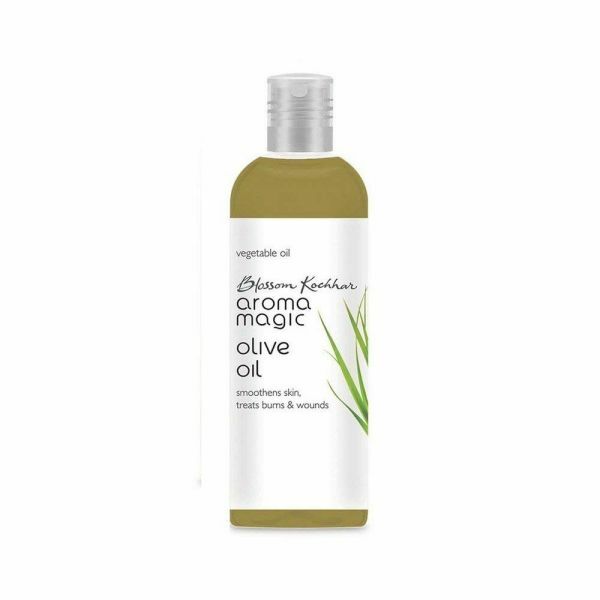 Warm up a few tablespoons of extra virgin olive oil and massage your hair and scalp with this. Leave it on for a couple of hours and wash it off. You could even leave it on overnight. This works as a great hair conditioner! For a quick, and easy to wash off, hair mask, mix a few tablespoons of olive oil with some aloe vera gel. Whip it nicely until it changes colour and texture. Apply this mixture to your hair and scalp! This is a great DIY hair mask. The aloe vera gel is light in texture making it easier to penetrate through your hair and scalp and deeply nourish it. 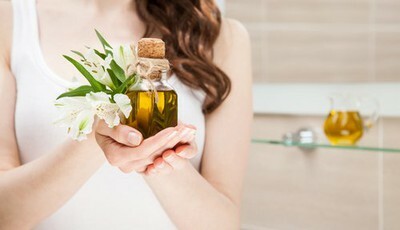 A few drops of olive oil massaged on the ends of your damp hair works as a replacement for a hair serum. It will protect your hair from split ends and nourish it with an irresistible shine! Olive oil is a great remedy for dandruff. There are two ways in which olive oil can cure dandruff. One, olive oil moisturizes the dry areas of the scalp and prevents it from flaking. Two, olive oil is easily absorbed into the thick and scaly areas of the scalp that cause continuous dandruff issues. Due to this, the scaly areas fall away as one large piece instead of separate flakes. 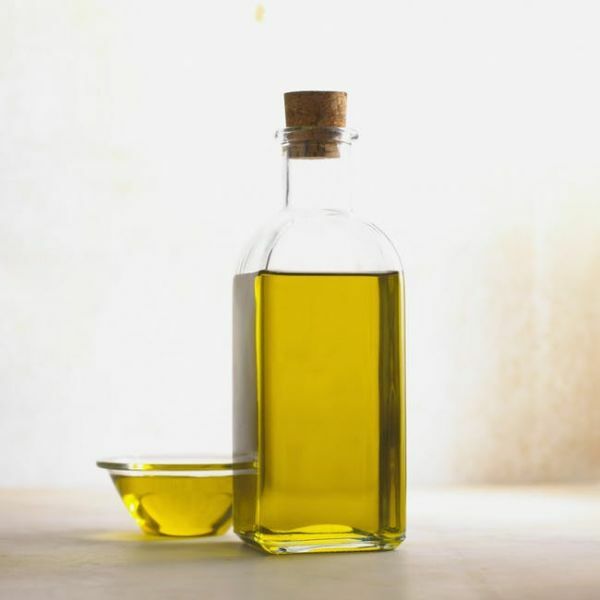 Apply olive oil on your scalp for ten minutes before you wash your hair. Who doesn’t want to get rid of hair fall and have stronger hair? If you’ve tried all kinds of shampoos and conditioners that claim to repair your damaged hair and prevent hair fall, then try olive oil. Oil your hair with olive oil once in ten days and you’ll notice the difference. 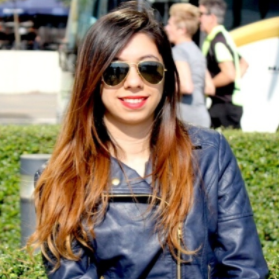 Sick of spending on hair serums and sprays to tame your frizzy hair? Try using olive oil. Just rub some olive oil along the entire length of your hair. It will soften your hair, and reduce the frizz, by a huge margin. Using olive oil for hair growth is a great idea as it removes the excess build-up of sebum. This is great because sebum hampers the growth of new hair follicles and hair growth in general. Using olive oil regularly can help your hair grow longer. Healthy eating is healthy living. Small changes in our daily food habits can make a big difference in our overall health. One such change is switching to olive oil. Here are the best brands for olive oil in India. Make a note! Borges Extra Virgin Olive Oil is one of the best olive oils out there for cooking. It is made with the cold extraction process. This means that there are no chemicals involved during the extraction of this olive oil. You can use this for everyday cooking and also on salads and as dressing. 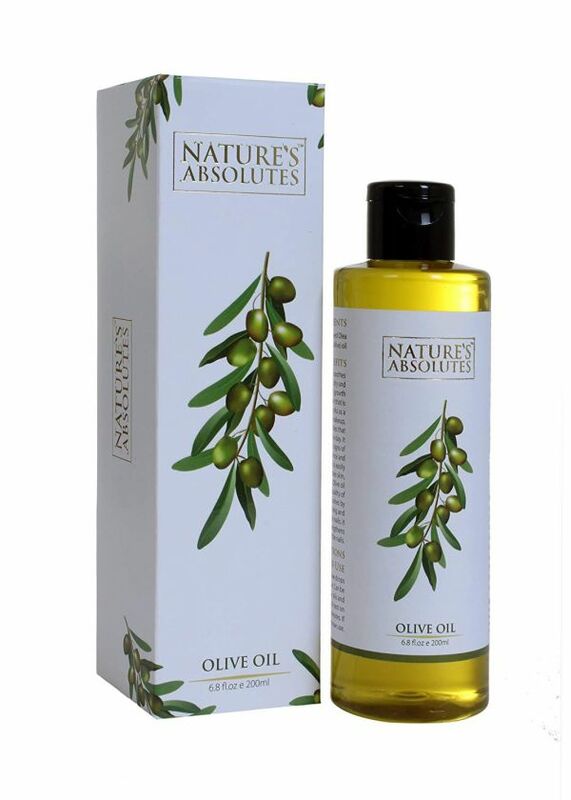 This olive oil is used for multiple purposes like cooking, salad decoration, hair oil, and also for your skin. It is perfect for frying, grilling, and sauteing. It is suitable for all types of Indian cooking techniques. It gives a taste and fragrance to the dish when used as a dressing. Price: Rs 125. Buy it here. 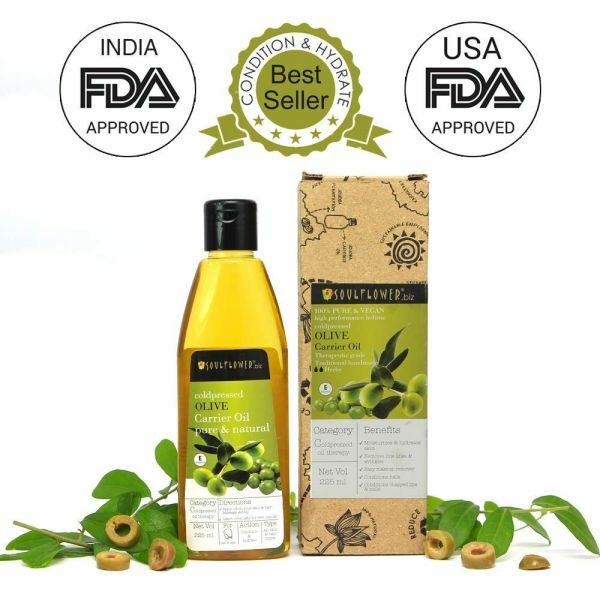 This cooking grade olive oil is extra light and is suitable for day-to-day Indian cooking. The oil has zero trans-fat and is cholesterol-free. Available in 3 grades – extra virgin, classic, and pomace olive oil, they offer the best of all olive oil varieties. Price: Rs 1,949. Buy it here. Delmonte Olive Pomace Oil is one of the most reputed products in the market. It’s a light cooking oil that is ideal for regular Indian cooking. The oil does not have any sort of preservatives. 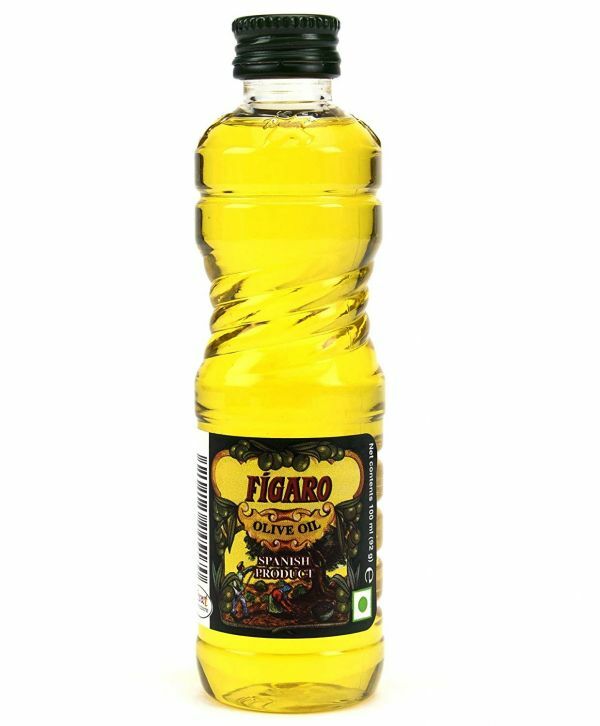 Figaro is the oldest olive oil manufacturing company in India and is one of the most popular olive oils in India. It is a hundred percent vegetarian product and is edible in nature. This is refined olive oil and is available almost everywhere since it is produced in India itself. Aroma Magic olive oil has been formulated by the renowned beautician Dr. Blossom Kochhar who introduced aromatherapy in India in 1992. The budget-friendly oil is multi-purpose and is pure. You can apply this on your scalp and can use it to treat rough knees and elbows. Price: Rs 167. Buy it here. The carrier oil is perfect to mix with other essential oils like tea tree oil, geranium oil, and lavender oil. It can be used for both the skin as well as for hair. This oil deeply penetrates the skin and effectively removes all the grime, dirt, and other residues, making this an excellent cleanser and makeup remover. Soulflower is one of the best companies that make essential oils. Soulflower oil works particularly well for moisturizing and conditioning your skin. It works well for all skin types. The oil is rich in vitamins and antioxidants. Dabur Almond Olive Oil has rich moisturizing properties that provide your hair strength and shine while reducing the chances of hair fall. It is a non-sticky hair oil that prevents breakage and makes your hair silky, shiny, and bouncy. Price: Rs 2,243. Buy it here. 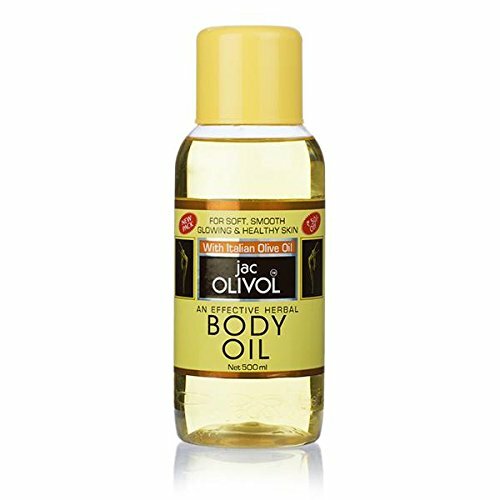 Jac Olive Body Oil has been used by women for many years as a part of their skincare routine. The oil keeps the skin supple and nourished and reduces dark circles. We guarantee that regular use will make your skin look rejuvenated. Price: Rs 215. Buy it here. Now that you know how beneficial Olive oil can be for you, go stock up!